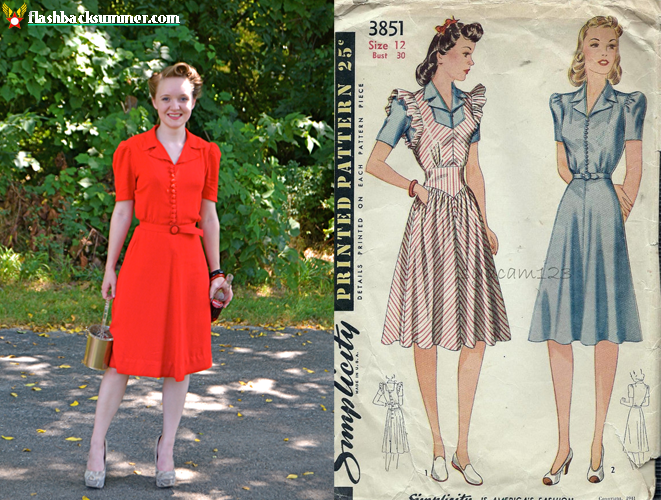 Lady in *REALLY* Red - Simplicity 3851 Pattern Review and Reveal! Recently I found an incredible yellow 1940s dress that had beautiful details, an amazing print, and would--miraculously--fit me perfectly. However, before I could get to it after work that evening, it sold on Etsy in a matter of hours. Talk about depressing. Finally geared up to drop some cash on a dress, and it sold so quickly. I was more dejected than one should be over a dress. 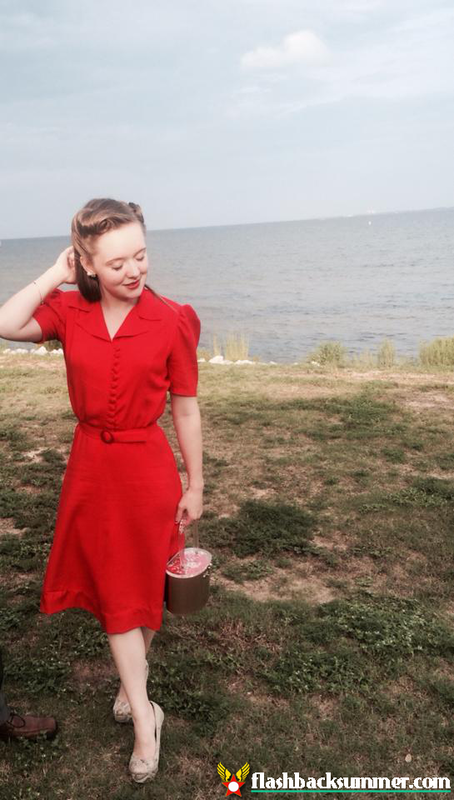 However, I finally accessed my gumption reserve and said, "Well HEY NOW, I don't need your perfect 1940s dress! 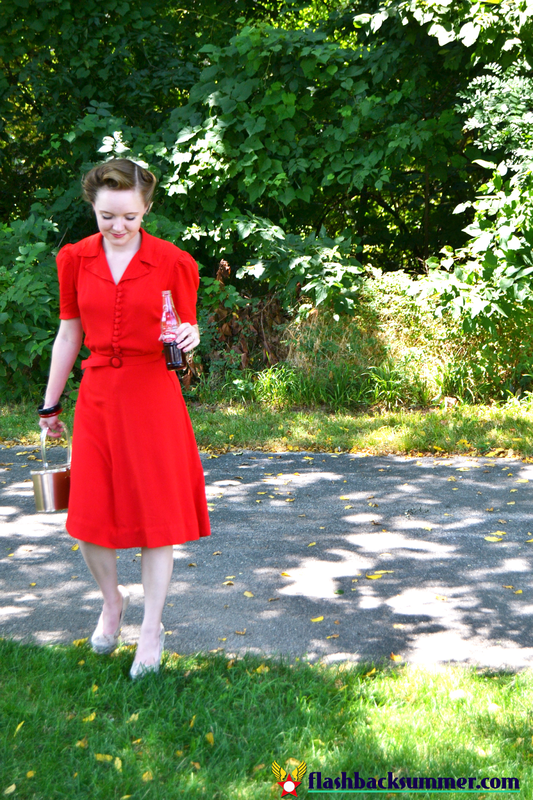 I'll make my own perfect 1940s dress! And it will FIT me perfectly! And it will be amazing! I do what I want!" So, I took the money that I was going to buy that dress with and bought three vintage patterns in my size, 16 vintage belt buckles, and 1940s rayon-cotton fabric. I have set about making dresses and blouses I love to add to my wardrobe. Not to mention, talk about being more cost-efficient. I am going to be able to make at least 3 dresses out of the same amount of money I would've spent on one vintage one. I found this VERY bright red fabric in the clearance section of Joann for around $3 a yard. It's mostly rayon with a bit of polyester thrown in. (I generally hate polyester, so a fabric has to be "mostly" something else for me to care about it at all.) For such a low price, I couldn't resist! Luckily, I had enough fabric to make this pattern. I used it as a wearable muslin. I finished it on the way down to a couple of friends' wedding in Florida this past weekend! It worked out beautifully, which was great because I brought no plan B outfit to wear! This is also the first time I've done a real collar on anything, so I was extra glad things worked out! I also ended up wearing it to another wedding this past weekend, and the "official" outfit photos are from then. These pictures were taken after several hours outside in a Missouri summer, and, unlike my hair, the dress was still going strong! And you may notice the shoes are not quite 40s, but I love them. For in my book, gold snakeskin is a neutral. How historically accurate is it? Very accurate! The only not-so-accurate part would be the shoulder pads I used (from the 80s, I think), the polyester fabric content and the synthetic belting. But who cares? No one sees that! Any tricky parts to the pattern? Nothing really tricky, just tedious (cough, buttons and loops). There are also several pieces that are drafted on your own (like the button loops and belt), but they're just rectangles and not difficult. Did you change anything? I used shoulder pads and raised the hem 3 inches for my shortness. 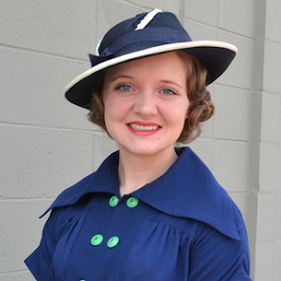 I also used slightly larger buttons, so only 13 of them on the bodice. Notes: The pattern is pretty simple, actual, and that's coming from someone who has never made a real collar and only 6 buttonhole loops previous to this project! The directions were easy to follow, the pieces obvious in how they fit together, and the fit perfect for me! I bought a size down from my bust size (I'm a 31-32", and the pattern is a 30"), and it worked out to exactly the right size. 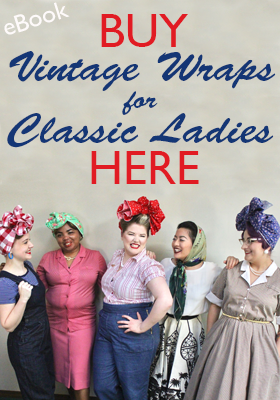 I recommend this for others buying 40s patterns, as the bust measurements seem to run large. I used some stiff scrap fabric as stiffening for the sleeves, but it isn't working as well as I'd like (see the droopy sleeves above). What would you use for stiffening? P.S. Thanks to my friend Lauren and to Alicia for letting me use your phone pics! 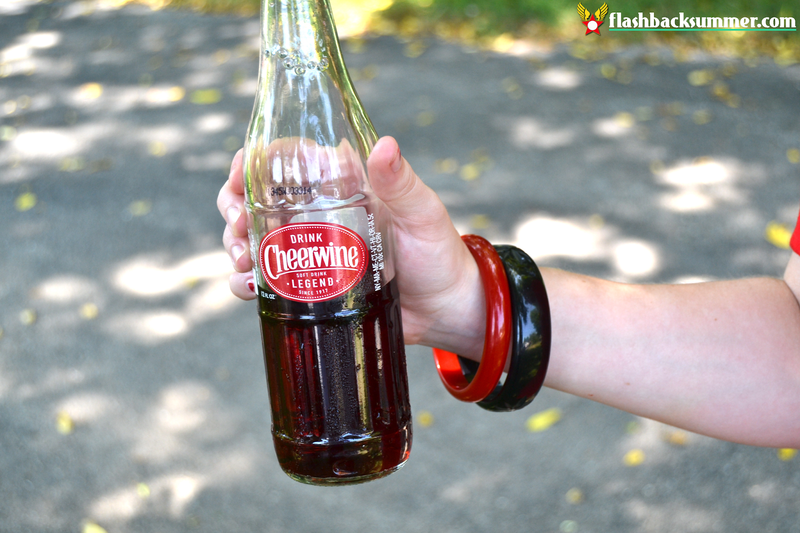 And also, this was my first time trying Cheerwine soda, and it was delicious! 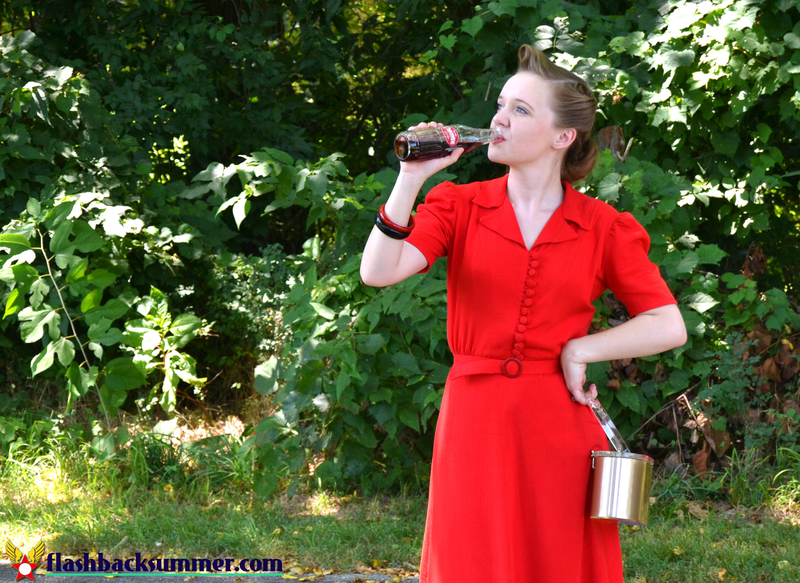 I'm not a huge soda fan, but I REALLY like this one! Very flavorful! That is wonderful--all those rouleux button loops!! Amazing job. Love the fit and styling. So classic. I had no idea that's what those button loops are called! Good thing I know now, since I'm making them and all! Wonderful job! All those buttons and loops! :) It's a great color on you too. For the shoulders you can try moving your shoulder pads a little closer to the edge of the shoulder so they help fill the part of the sleeve you want to pouf. Or add some netting/crinoline material, I've seen that done too on originals. 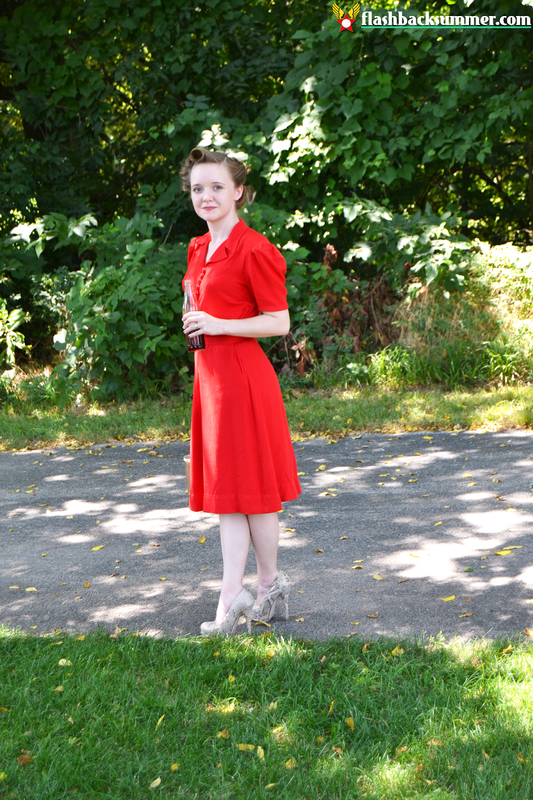 Take a look at the second to last set of pics of my 1940s Formal Party/Wedding Dress with the heart pocket. You can see where the shoulder pads are placed. Hope that helps! The shoulder pads are past the edge now, cuz I thought the same thing, and it worked great until I washed the sleeves and they deflated. I think I'll try the meeting idea and check out your post. Thanks! The netting idea, I mean! That dress is WONDERFUL! It's so striking and just the sort of thing I would wear too. Also why yes, gold snakeskin is a neutral. I too have a pair of pumps like those and the only reason I don't wear them with everything is the height. I can't walk in them! You look stunning and well done on your dress. I'm doing a skirt making course at the weekend so hope to one day be able to make creations like you do. Wow! This dress looks great! 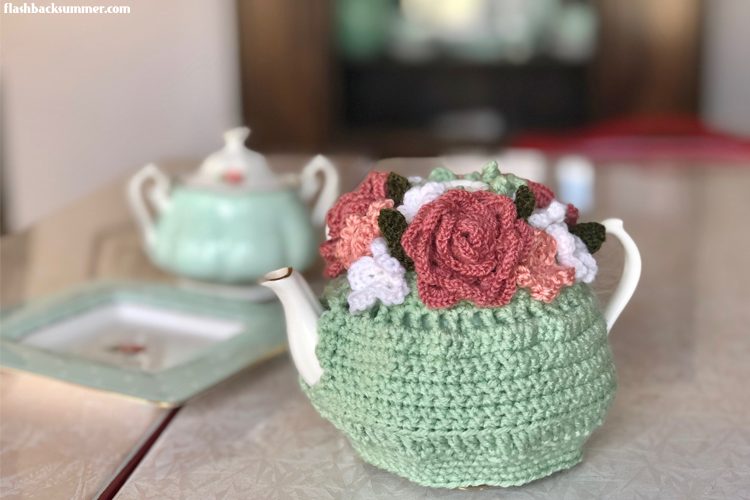 I may have to hunt down a copy of that pattern! I made shoulder pads from silk organza and they turned out pretty nice. A beautiful job! Isn't it a great feeling when the fit of a garment happens in the first attempt? Lovely! It IS a great feeling! And I was pondering organza (I've heard great things about it), so I may have to try that to puff the sleeves... thanks! Your dress is fabulous! The details like the buttons and matching belt make it so special. 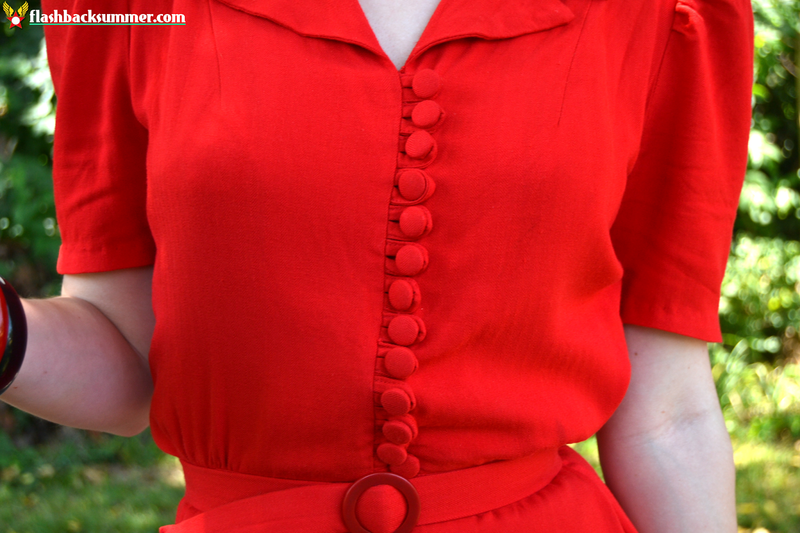 I do buy a few vintage clothing items, but when there's a style I really want and can't afford or find, there's nothing better than being able to sew your own. Wow! What a dress! You did a marvelous job! This is so beautiful! The buttons are gorgeous, and I'm sure took you quite a bit of time! But the dress that you made yourself is really stunning. I love the shape, and it really does fit you like a dream. Seeing that sort of thing makes me really want to take up sewing. Wow that is so neat! I have seen that pattern a number of times on Pinterest and always thought is was so cute. Nice to see someone actually make one! It came out so nice and fits you perfectly. I love it in red. Great job! Aw, thank you so much, Chrissy!